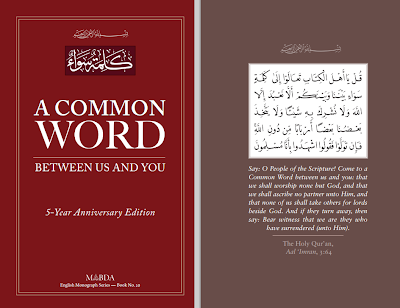 Sola Sisters: Rick Warren's Signature on Ecumenical Document "A Response to 'A Common Word'"
Rick Warren's Signature on Ecumenical Document "A Response to 'A Common Word'"
An interfaith document authored by the Muslim community entitled "A Common Word," meant to unite Muslims and Christians together in peace and in common causes, was released in 2007. The Christian community reacted by drafting their own document as a response to "A Common Word." 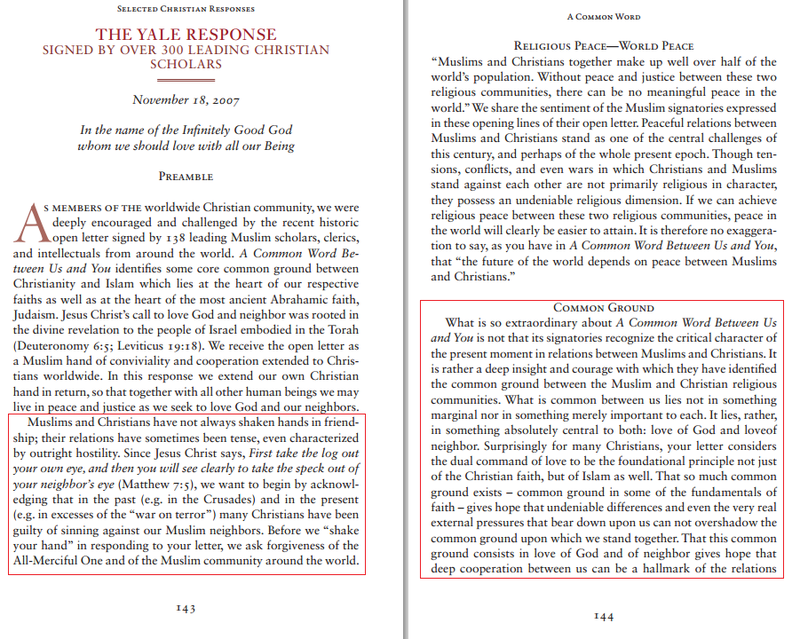 This document, drafted by the Yale Center for Faith and Culture, became known as "A Christian Response to 'A Common Word'." This document contains some concerning ecumenical language, and seems to affirm that Muslims and Christians worship the same God. 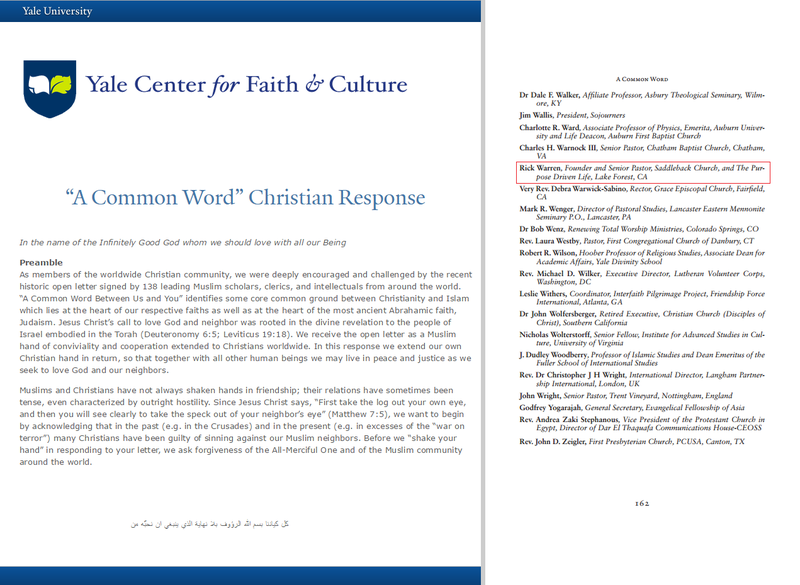 "A Christian Response to 'A Common Word'" was published in November 2007, and was signed by a number of professing Christian leaders, including Rick Warren of Saddleback Church, who has denied in the past that he believes that Muslims and Christians worship the same God. 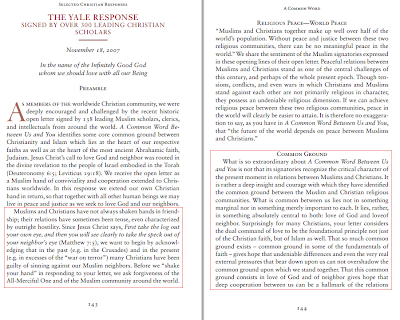 You can read some of the language of the Yale Response (below) and see for yourself what you think. Rick Warren: Christians and Muslims Worship the Same God? 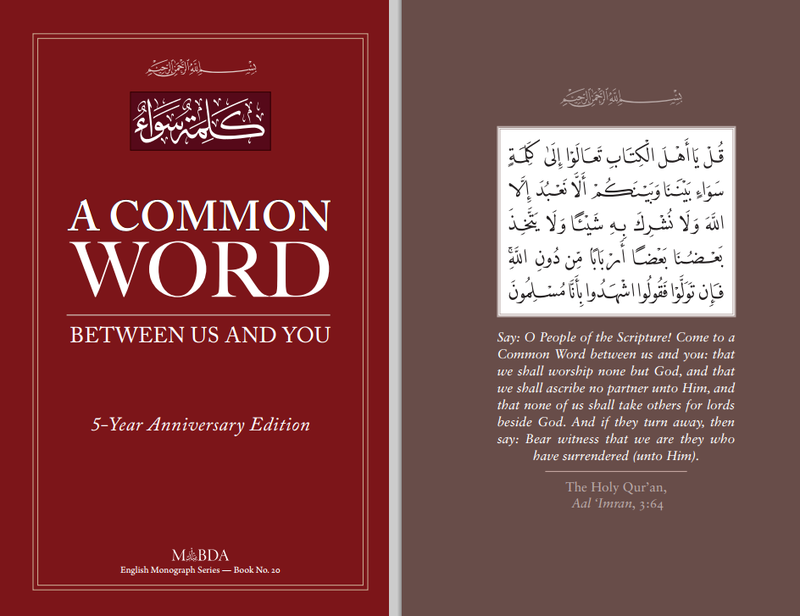 Is King's Way an Interfaith Document or Not? You Be The Judge.